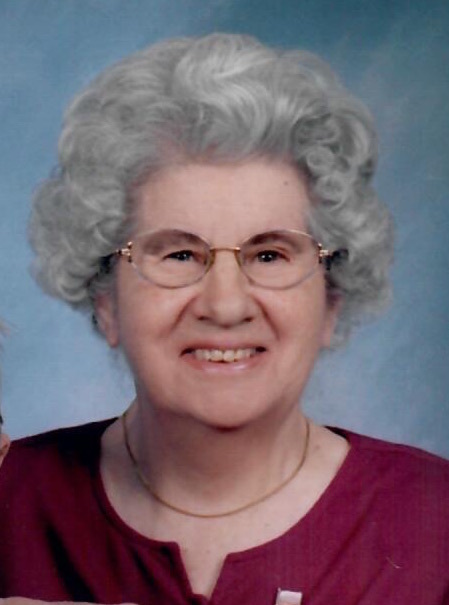 Ontario: Went home to be with her Lord on February 9, 2019 at age 93. Predeceased by her beloved husband, John Richmond in 2007. Fern was a longtime member of the Bible Baptist Church of Sodus. She was devoted to her family and loved being a mother and grandmother. Survived by her loving children: David (Peg) Richmond; Linda (Douglas) Sass, Sandra Peterham; special grandchildren, Michael (Heather) Sass, Julie (Andrew) Holmes, Josiah, Noah, and Aaron Peterham; great-grandchildren, Michael Carew, Hailey Holmes and Sammy Sass; sister: Esther Benedict; sisters in law: Ruth Richmond and Julia Wemes; nieces and nephews; and special friends. Family and friends are invited to call (Thursday) February 14, 2019 from 5-7pm at the Young Funeral Home. A celebration of her life will be held at the Bible Baptist Church of Sodus on (Friday) February 15, 2019 at 11:30am. Private interment in Furnaceville Cemetery. In lieu of flowers, donations in loving memory of Fern can be made to the Bible Baptist Church of Sodus.